Five musicians who moved into Denver from the streets of Chicago, Stallion polished elements of western music with an upbeat city-bred approach. Working with producer Dik Darnell of Pyramid Productions, the Denver-based quintet—Stephens, Danny O’Neil (guitarist), Jorge Gonzales (bass), Wally Damrick (keyboards) and Larry Thompson (drums)—signed with Casablanca Records. In March 1977 the band had a Top 40 record, “Old Fashioned Boy (You’re the One).” Four months later “Magic of the Music” bubbled under the Hot 100, reaching #108. Stallion was the group’s identity and its symbol. “Our logo was the Mile High Stadium horse,” Stephens said. While most of the band members were relative newcomers to Colorado, Stallion took an interest in a humanitarian issue, choosing to adopt the cause of the Wild Horse Organized Assistance program (WHOA), designed to preserve the endangered wild mustangs in the western states. 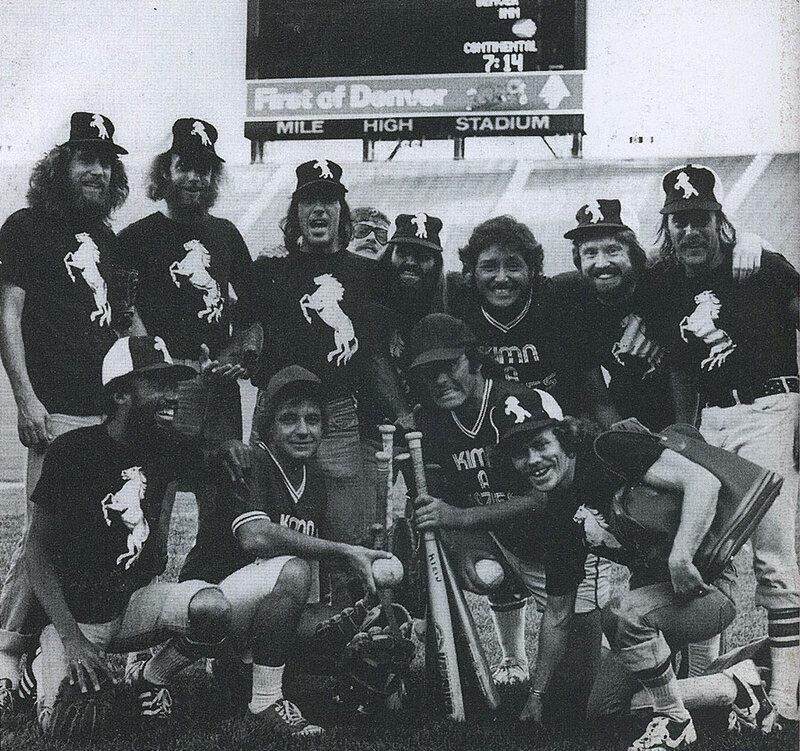 The group took on KIMN disc jockeys in a charity softball game at Mile High Stadium. Stallion toured with Elvin Bishop and Styx, but the record company and management didn’t quite see eye to eye. The band broke up in 1979. © 2019 Colorado Music Experience. All rights reserved. Matt Rue – McGinty Co.